My theory is that we tend to collect or save things we are conscious of as having value, and we ignore the material subconscious. We are not even aware that we are throwing these everyday items away because we are not even aware they exist in the first place. We simply don’t see them. Yet it is these invisible, “subconscious” artifacts that will tell the best stories about this time later on. This is where the archeologists do their research: in the garbage pits. Here they can explore the subconscious of the lost culture. So if you are going to collect something that you want to be significant in the future, collect things that everyone ignores now. Stuff that is too insignificant to save, that no one in their right mind would save. These “subconcious” things are the ones that will be the most valuable in the future. Not the Star Wars action figures, but the fruit stickers. Not the Barbie doll outfits but the lids of take-out beverages. Not mint condition Chevy cars, but bread bag ties. Because they are not trying to be anything other than what they are — any beauty they contain is functional — they also transmit the subtexts of their time. 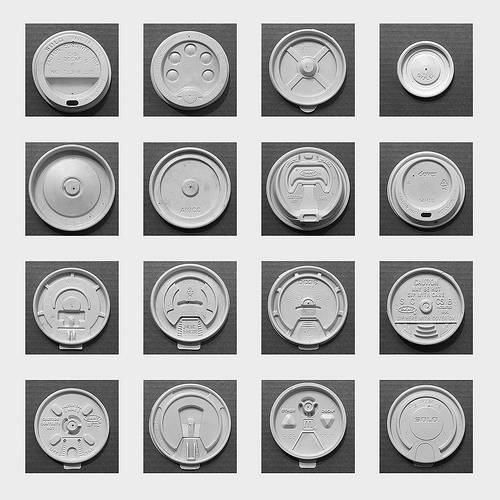 The “meaning” of the placement of the ridges and holes in the take-out beverage lids reveal all kinds of things about how and where these beverages are being sold and consumed. The designs will tell folks in the future far more about our lives today than tiny models of Darth Vader. And if history is any guide, we’ll find their functional beauty for more everlasting than the fashions of more conscious designs. Interesting post, Kevin. I agree with the general premise that most time capsule contents miss the mark. However, I think the proposals here may not hit it either. Each of the collections are interesting not just in the future, but in the present. One coffee lid isn’t interesting now, and likely won’t be in the future. The collections here aren’t necessarily interesting as representing our penchant for coffee today, as they are as a form of art. I think these collections are as good as any other form of current art as an entry into a time capsule. I think what makes good time capsule content are things that have become obsolete or undergone dramatic change. If I opened up a time capsule today, I’d like to see a buggy whip or a slide rule or a document written on parchment or a Pong video game. This obsolescence could have occurred not for technical reasons, but for moral or legal reasons, so finding something related to slavery or a bottle of Coca-cola containing cocaine would be interesting. The problem is that no one knows exactly what will become obsolete between the sealing and opening of the capsule. Worse, I suspect that those who create time capsules tend to be historians rather than futurists, so they may not have the interest or insight that leads to including such content. Creating a good time capsule is an exercise in predicting the future. You can find these things in most museums today. I claim what you want in a time capsule is stuff you will not find in a museum in the future. Ask any archeologist what they want. They don’t want the things of value, which are saved anyway. Future museums will for sure have an ipod, smart phone, john deer tractor, etc. What they won’t have are bread bag ties. I just found my way here now via Google Buzz. I’ve noticed similar effects when dredging through online miscellanium as alluded to by previous comment Pete McP, and I also apologize for my odd grammar. Similarly, I’ve found that photographs of very mundane items and scenes, about which I’m asked “Why take a picture of THAT?” at the time, are the most memorable 10 or 20 years later. Of course, there is a reason why I am @ellieaskswhy (part and parcel of being “ever curious”). Next question to be addressed: who and what is kk dot org? After reading this post, I looked at my desk and there were two objects laying there. One of which is the obvious choice of what we would put in a time capsule: a pair of red and green 3D glasses. The other object is the one which is not so obvious: a used envelope with some scribbled notes on it. As you point out, it is the latter object which will be most interesting to dig up in 100 years. On it I have written my ID code for my student finance account to remember it. Also my mum has written down the filmographic details of a film she wants me to try and torrent because we couldn’t find it on DVD. The 3D glasses, on the other hand, are exactly the same as the millions of other pairs around the world, and having no interesting details. The cambrian explosion of low end design. I think the collections are excellent exmamples of iterative deisgn solution for simple problems and great for showing creative response to an innovation/ problem “opportunity” Niche. I’ve recently been watching a lot of videos that have similar qualities, small businesses recording their manufacturing process to show clients and things like that. There is a wealth of very dull but incredibly fascinating video archaeology to be done with the right keywords in youtube. It probably gives a more realistic impression of the conventions that emerge from the video-technology as used by most people. Try typing in ‘manufacturing’ and going back about 20 pages of search results. 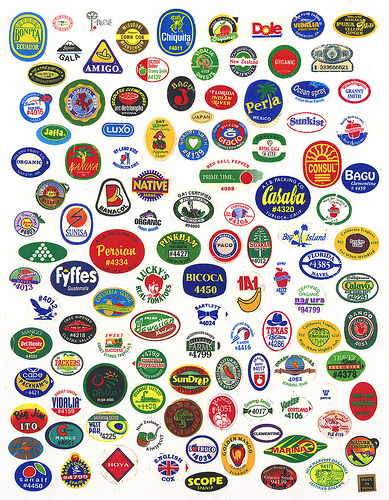 This is not directly related, but I’ve found the same to be true for travel souvenirs. 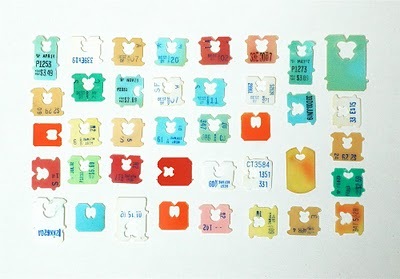 Maybe not as mundane as fruit stickers, but useful everyday object have become much better souvenirs with time than object with no purpose other than recalling memories.